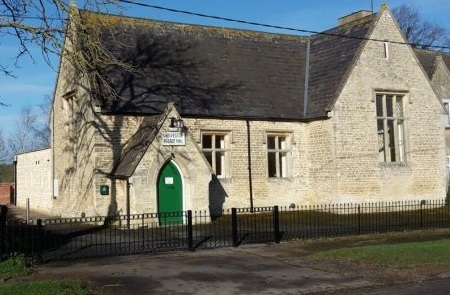 The Village Hall is run by a charitable trust. Hire fees cover its operating costs (mainly heating, cleaning, licencing and insurance) and equipment renewal. All hire fees quoted are inclusive of heating, lighting and use of the kitchen facilities. Booked start and end times need to include all setting up and clearing up time. Hire fees are charged from the time the hirer enters the Hall to the time at which the hirer exits. If the Hall is occupied before or after the booked times, additional hire charges are payable. The Hall will be cleaned to a high standard before and after every hire. Surfaces, floors and toilets will all have been checked and sanitised. After your event, the Hall will be inspected and then cleaned. Charges for this cleaning will be deducted from the security and cleaning deposit at the rate of �.00/hr. For most events, cleaning takes 1.5-2.0 hours and therefore costs �.00-�.00. For large events where the kitchen equipment has been used, a deep clean of the kitchen is needed and cleaning can cost �.00-�.00. Meetings, classes and rehearsals �00/hr �.00/hr �.00/hr There are no cleaning charges for meetings, classes and rehearsals which are part of the regular programme of activity. All day hire �5.00 �5.00 �0.00 Fifteen hours from 09:00-24:00, including setup and clear up. Music to end by 23:00. Cleaning charges average �.00 after these events. Gaming weekends �0.00 �5.00 N/A Forty six hours from 18:00 (Friday) - 16:00 (Sunday), including setup and clear up with the hall used through the night and use of camping/shower facilities. Cleaning charges average �.00 after these events. Hire fees and pre-booked cleaning fees need to be paid in advance by new hirers and there will be a � or �0 security deposit (depending on the type of function). If the booked hours are exceeded, additional hire fees will be deducted from the deposit. If additional cleaning is also needed, this will be deducted from the security deposit. The remainder will be refunded in full if the hall is returned in a satisfactory conditon. As the Hall does not pay business rates, there is only a limited collection of refuse and recycling by East Northamptonshire Council. Hirers are asked to take away their recycling and refuse as we are charged at least �50 per bag and the bags must be correctly sorted. If you have a requirement not covered by this schedule of fees, please contact the Clerk for quote.